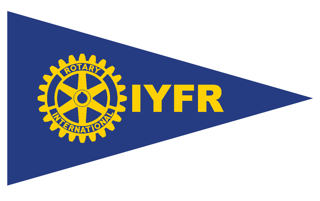 The International Yachting Fellowship of Rotarians (the posh name for the Rotary Boat Club) decided to hold its national AGM in Hull on the 3rd November. Although Hull is a long way from Gravesend, a group of us agreed we should attend the meeting and take the opportunity to meet up with friends from the various fleets from around the country. Heading “t’up north” on the A1, we passed Lincoln and its cathedral, a quick display by the Red Arrows as we passed RAF Scampton and on to Hull. Arriving at the Best Western hotel, the very pleasant receptionist pointed us DOWN the stairs. With trepidation we opened the door of our room; to our surprise found a rather nice spacious room that overlooked an enclosed rose garden. Early the next morning we boarded our coach that took us to Hull’s regenerated culture centre. We visited the Wilberforce and Transport Museums before heading to the marina for lunch. In the afternoon we returned to the hotel for the business part of our visit, the AGM which quickly dealt with all necessary matters. With the meeting over we had a break before our formal dinner with a guest speaker – a very informed young man who told us of some local traditions and how Hull had changed from its origins as an industrial fishing town to a city of culture. A couple of us stayed an extra night to see more of the local area so the next day we went to a bustling Sunday farmers market, a country park at the base of the Humber Bridge, lunch in a tavern in Hessel (whose landlord came from Ashford) and finally a visit to the wonky (or part wonky) cathedral at Beverley. The following morning we left the hotel and were off “down south” and home. A new image of Hull was in my head due in the most part to its lovely people who had all greeted us with kind words and warm smiles.